Comfort isn't only exclusive to soft sweatpants and oversized sweaters and that's proven in this post. 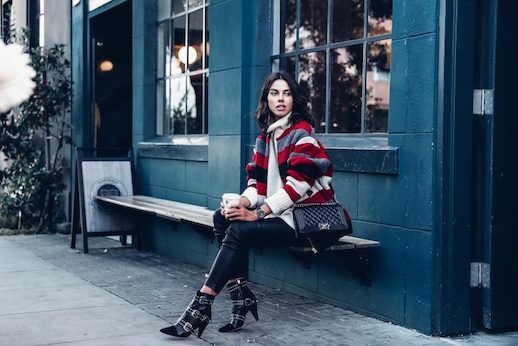 This fashion blogger wore a striped jacket, cream colored turtleneck, leather pants and edgy, statement boots. Together, this outfit is rocker-chic.